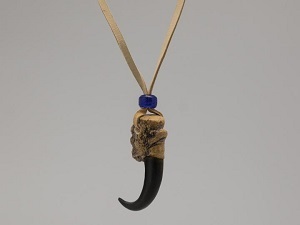 The Realistic Bear Claw Necklace comes on a 32" deerskin neck strap and is accompanied by a card describing the bear. 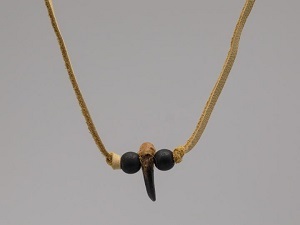 This necklace has a glass crow bead. 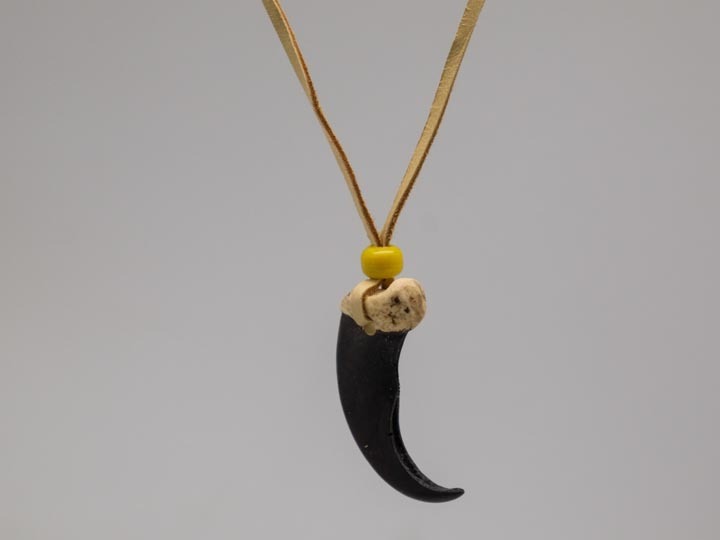 The Realistic Eagle Claw Necklace comes on a 32" deerskin neck strap and is accompanied by a card describing the eagle. 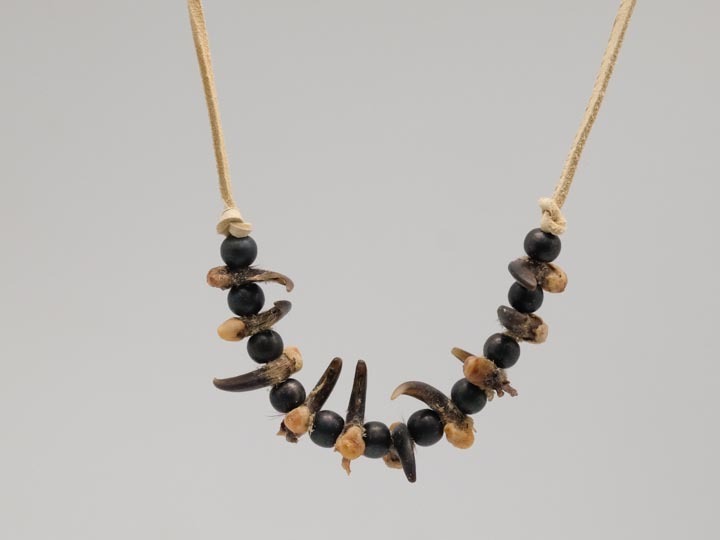 This necklace has a glass crow bead. 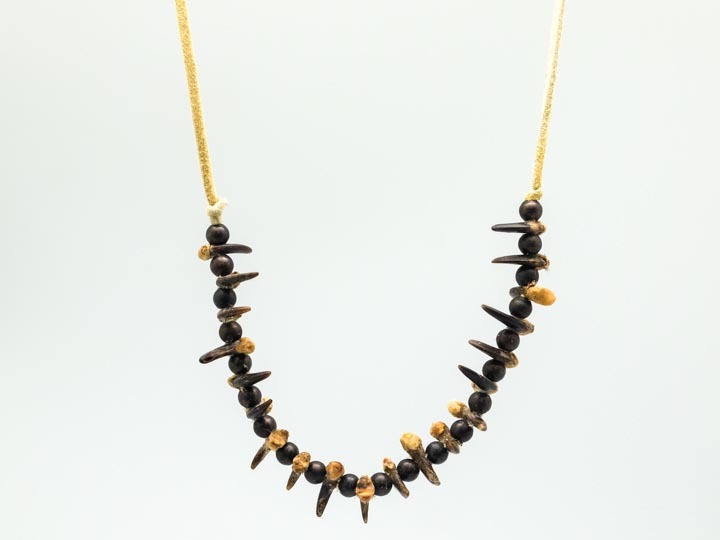 The 5-Claw Realistic Northern Grizzly Necklace comes on a 32" deerskin neck strap and is accompanied by a card describing the grizzly bear. 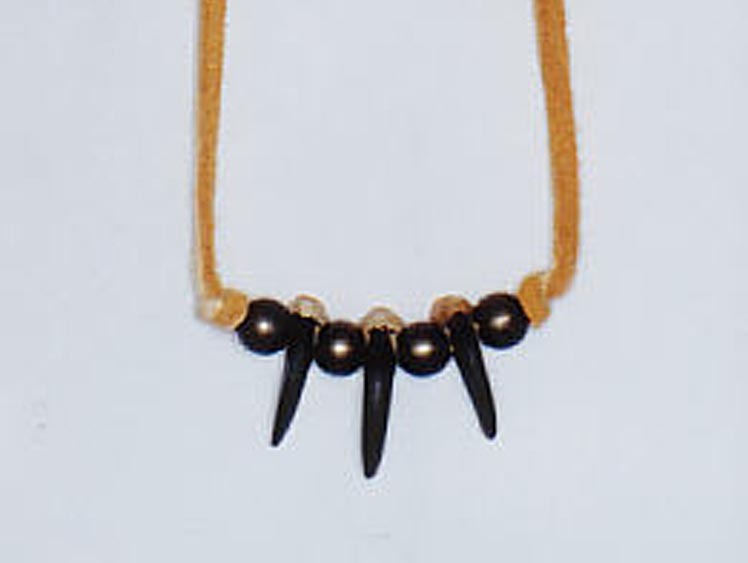 This necklace has oxidized (antiqued) brass beads. 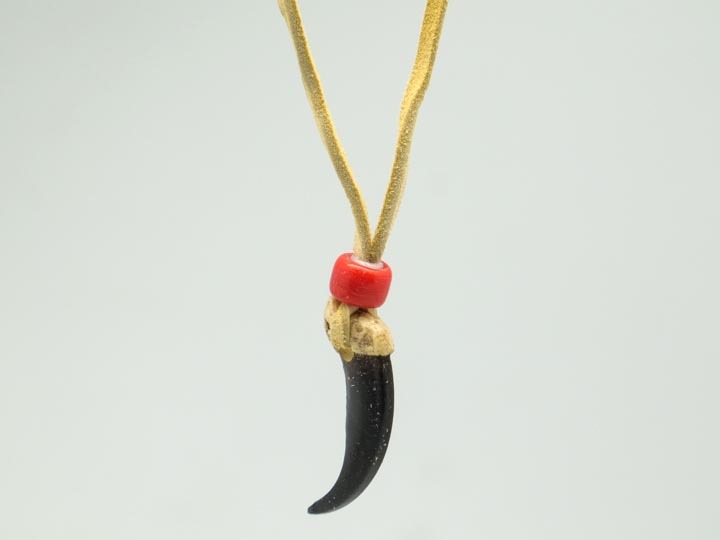 The Realistic Wolf Claw Necklace comes on a 32" deerskin neck strap and is accompanied by a card describing the wolf. 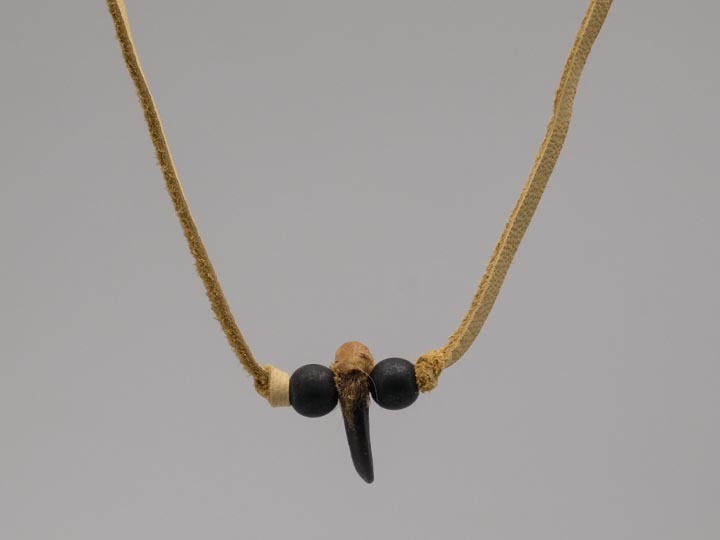 This necklace has a glass crow bead. 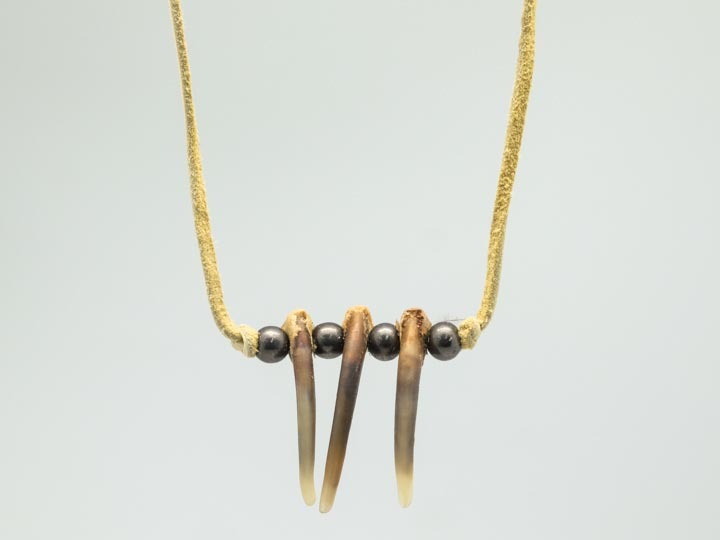 The real coyote claw necklaces are made by an Iroquois artist using real claws, antiqued brass beads, and a 32" deerskin neck strap. 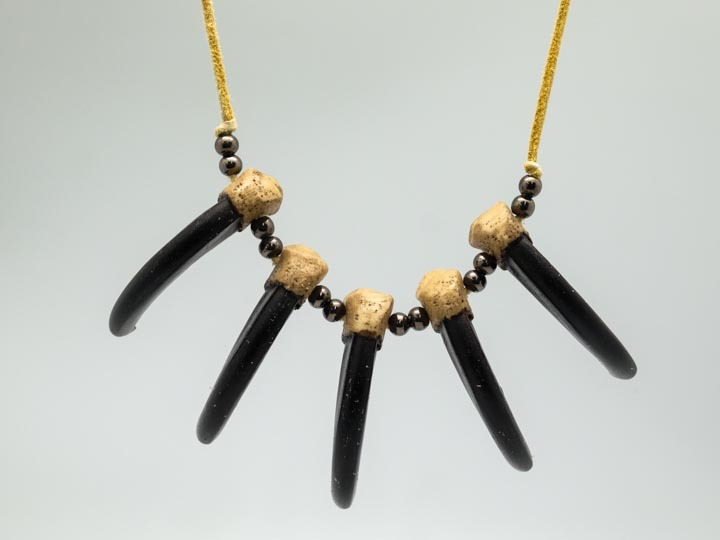 This real badger claw necklace is made by an Iroquois artist using real claws, antiqued brass beads, and a 32" deerskin neck strap. Genus and species (badger): Taxidea taxus. Wild.